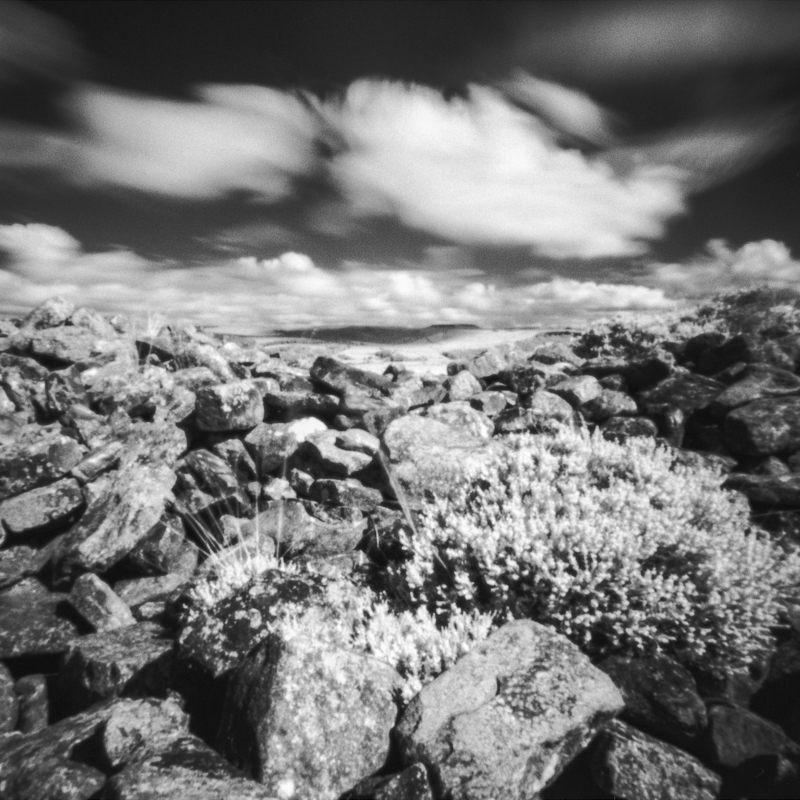 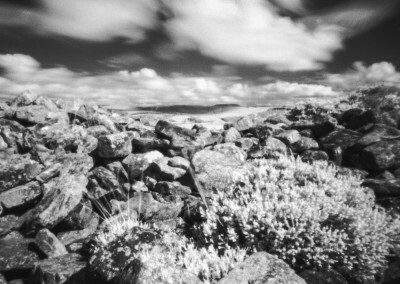 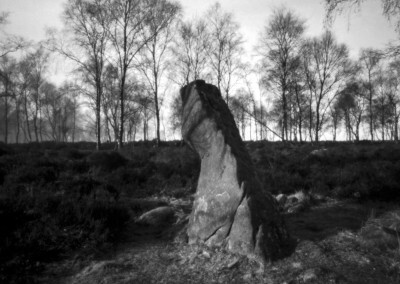 My “Stonework” pinhole photography project started a couple of years ago in 2011 with the purchase of my first pinhole camera, a Zero Image 612B. 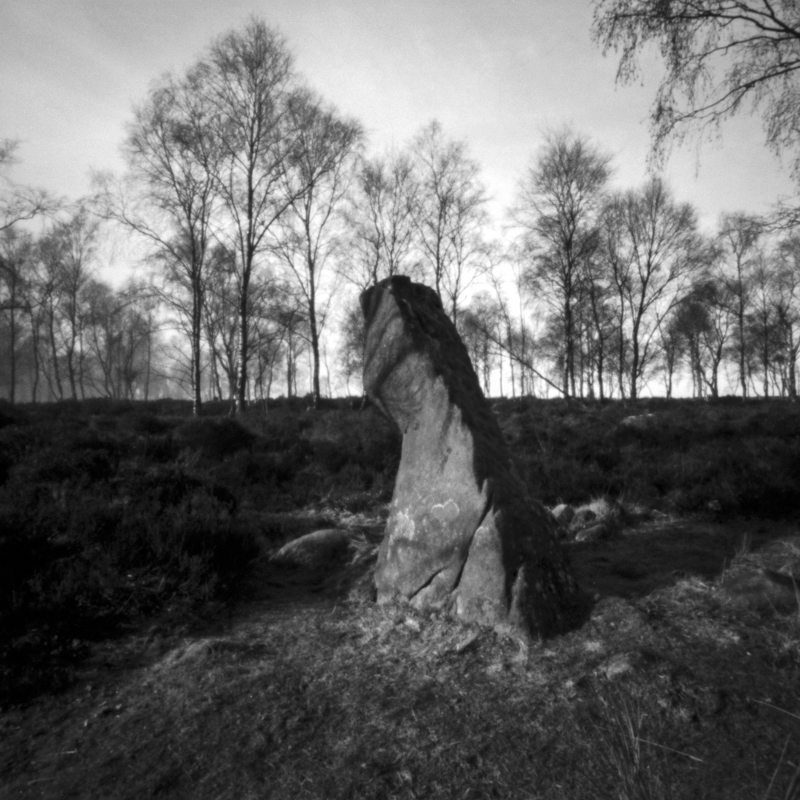 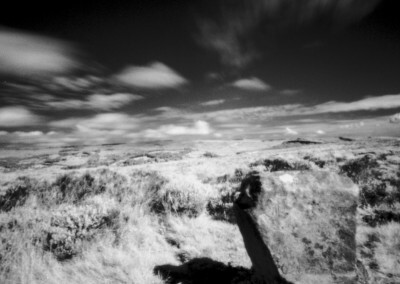 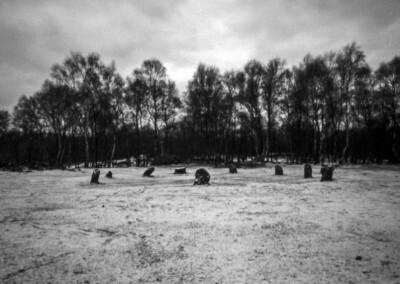 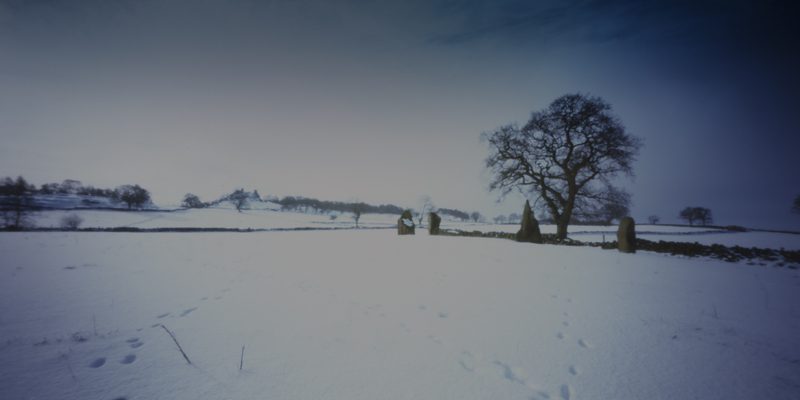 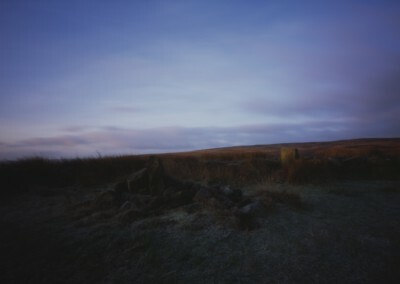 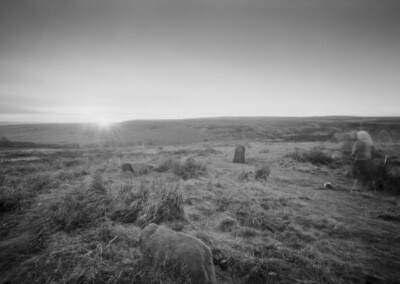 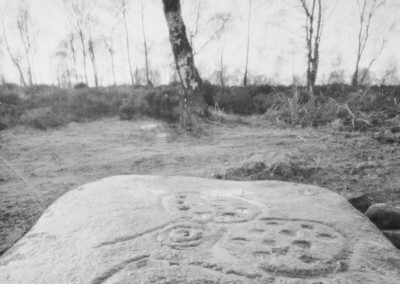 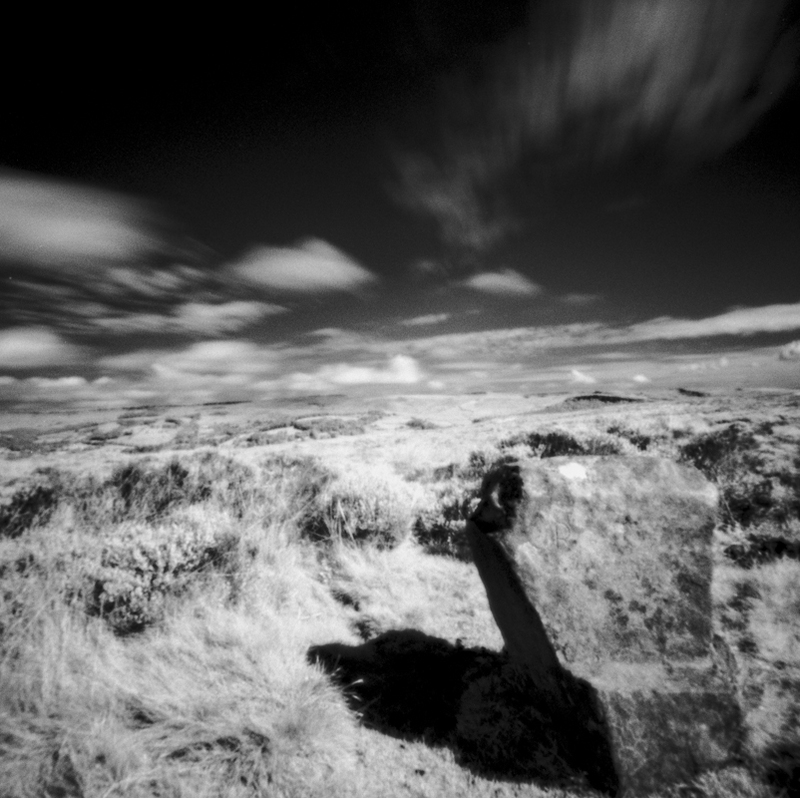 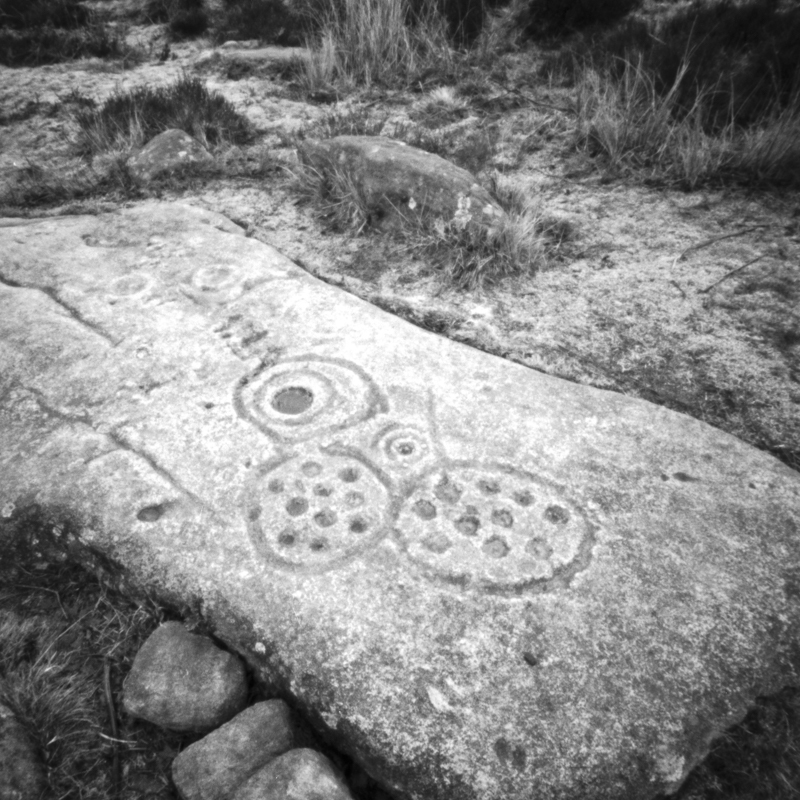 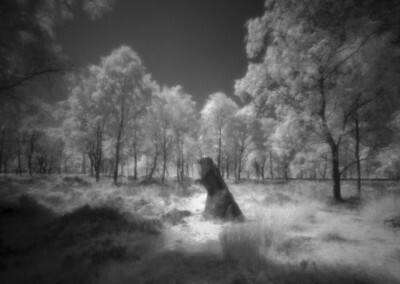 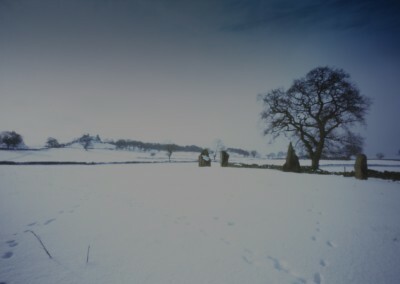 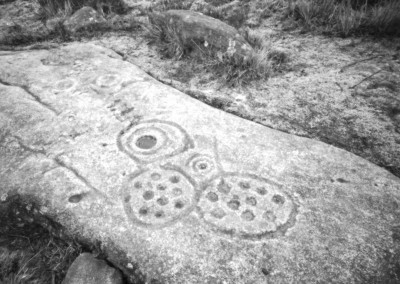 The goal of the project was to capture the various stone circles and standing stones around the Derbyshire Peak District using just pinhole cameras. 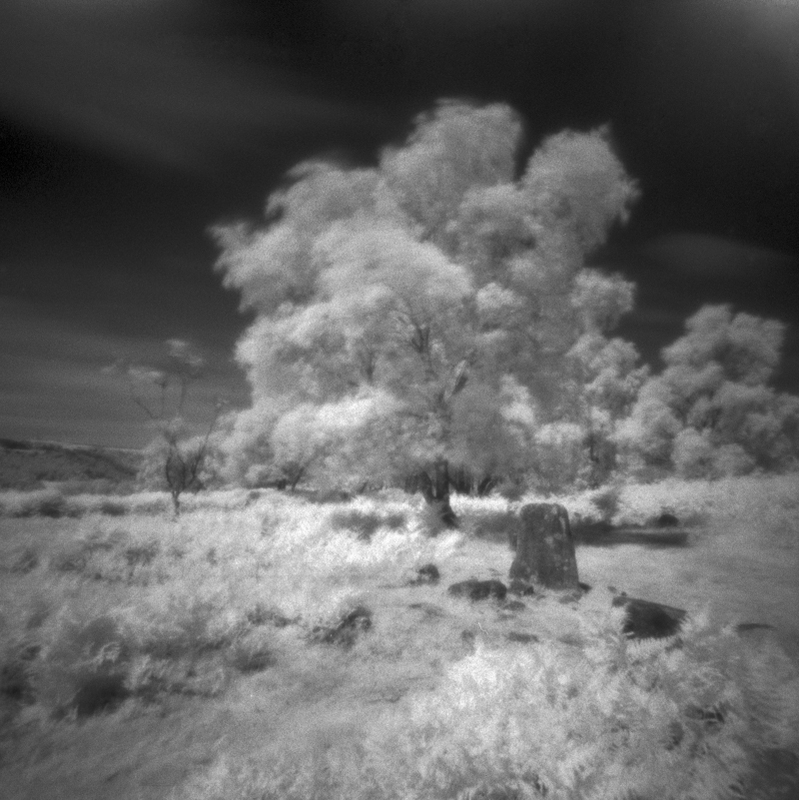 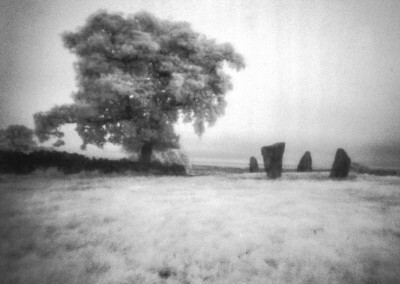 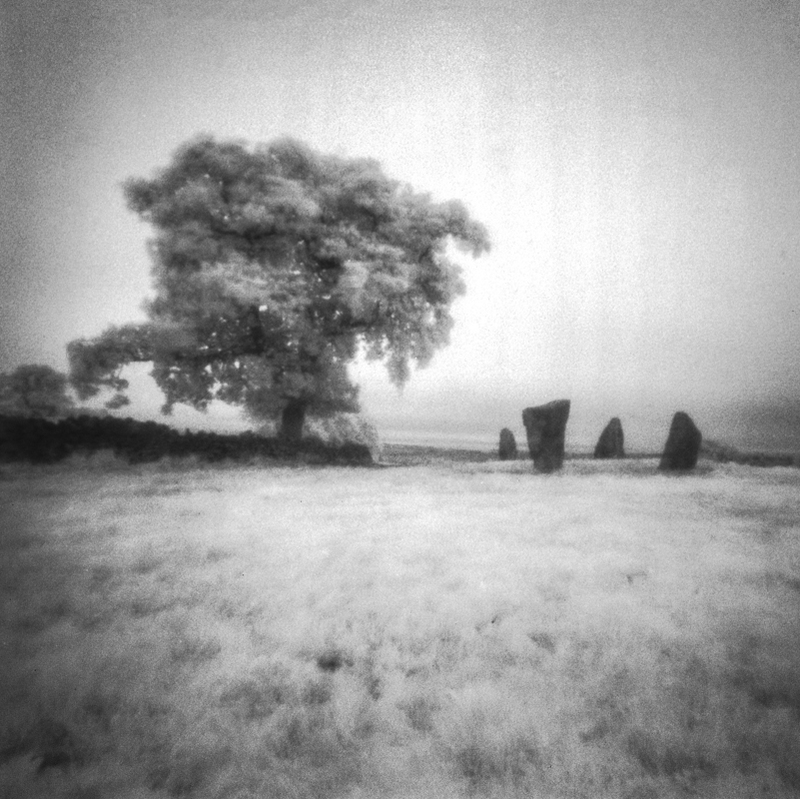 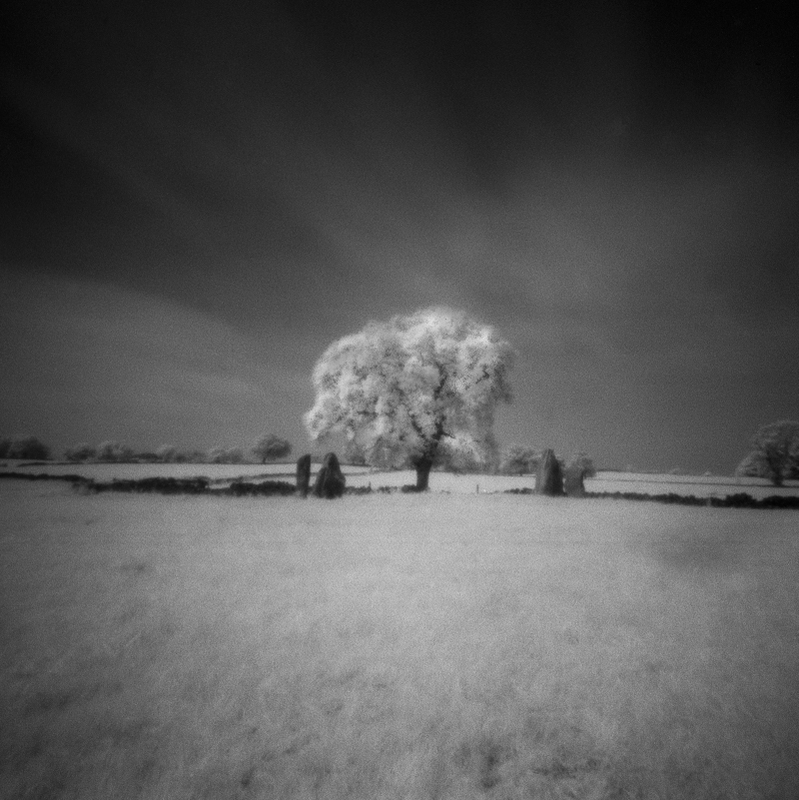 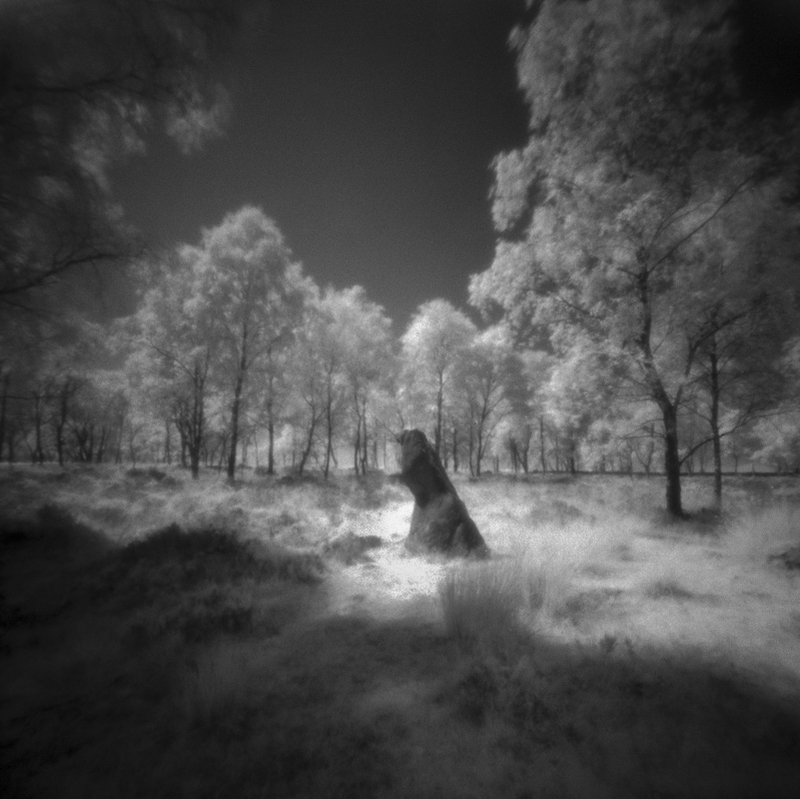 This goal has changed very little over the years with the exception of trying to capture the stone circles and standing stones using infra red film with my pinhole cameras (When the weather permits!). 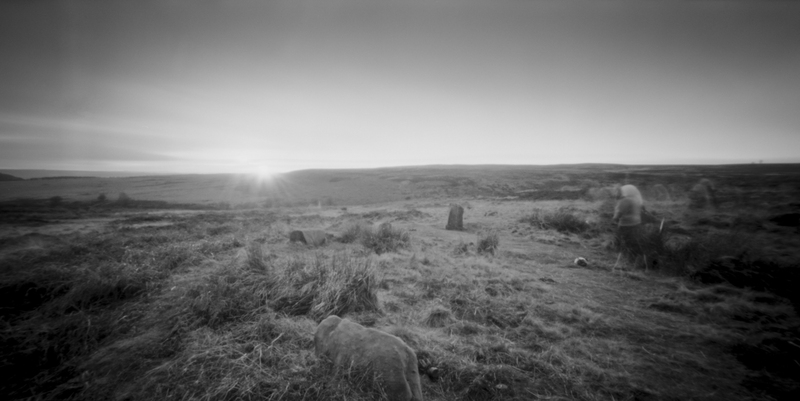 Stone circles and other megalithic monuments in the Derbyshire Peak District are (I feel) quite difficult to capture, as with one or two exceptions, they are quite low to the ground and usually overgrown with bracken and heather – nothing of the scale of Stonehenge or Avebury here. 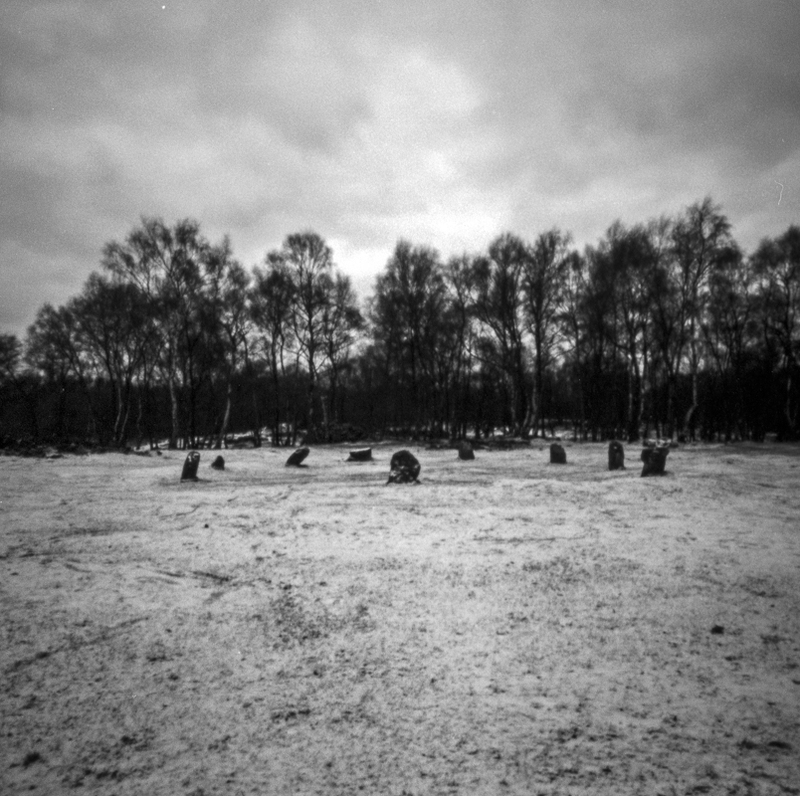 My intent has been to show the passage of time and hopefully using pinhole and the long exposures that are inherent with pinhole photography I have achieved this and taken more than simple “record” shots. 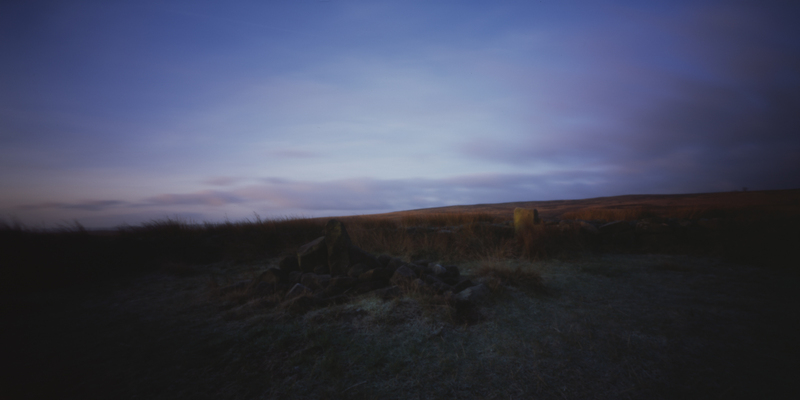 This project has probably drawn to its natural end, as I have photographed most of the photographic locations within the Peak District – there are plenty of other locations, but few lend themselves well to photography as they are very discrete. 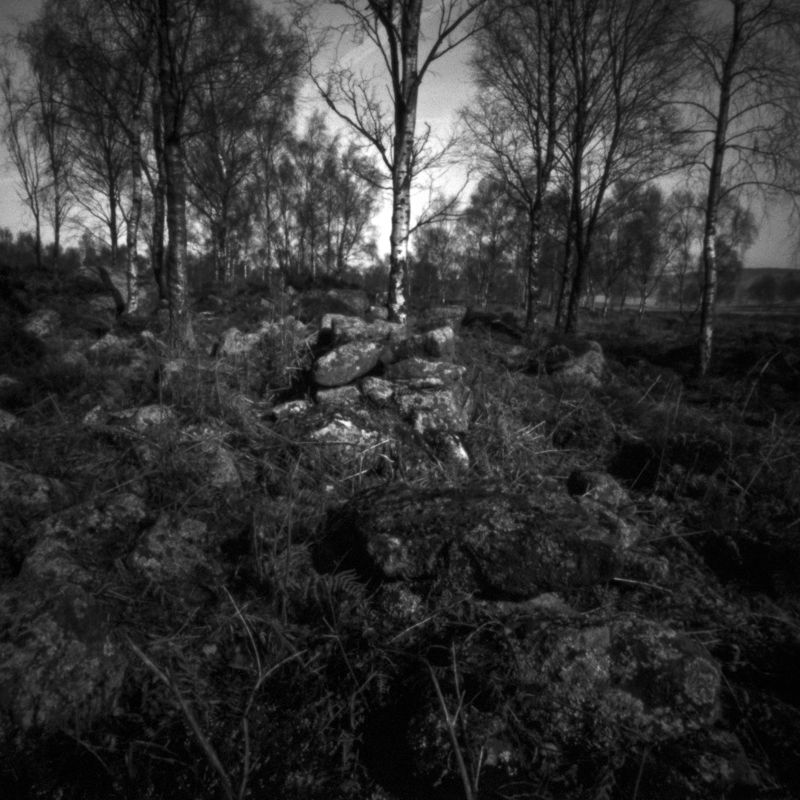 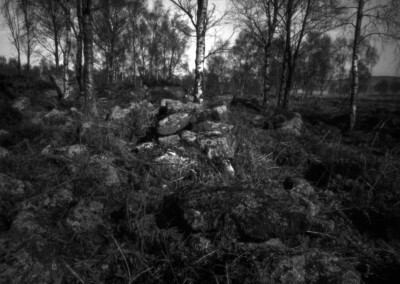 My other pinhole project “Ties to the Land” in a way takes over from where “Stonework” ends, and expands in to man’s use of the land. 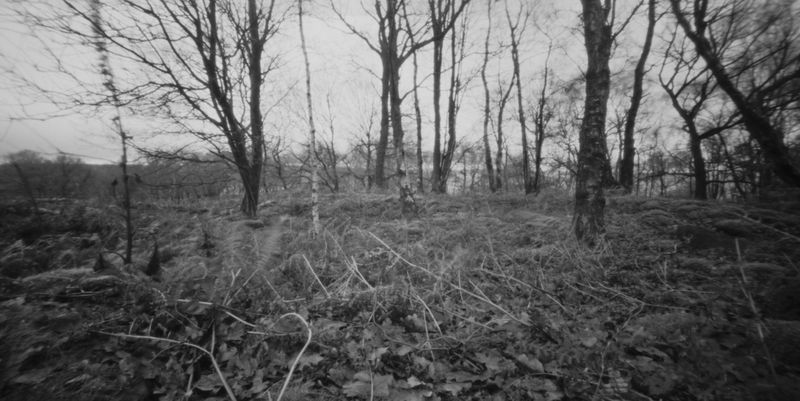 More about the project can be found by visiting here. 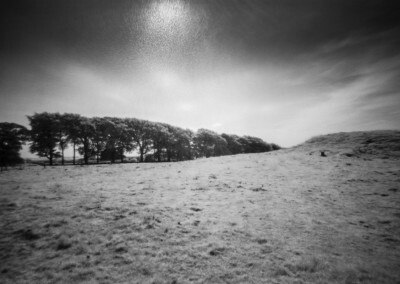 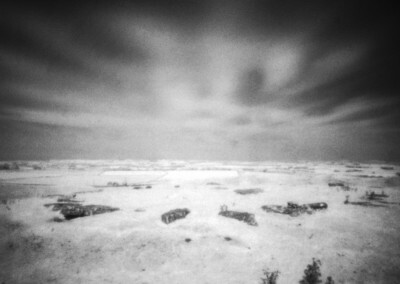 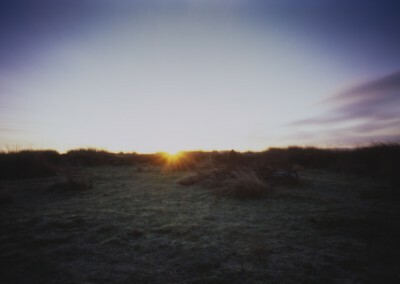 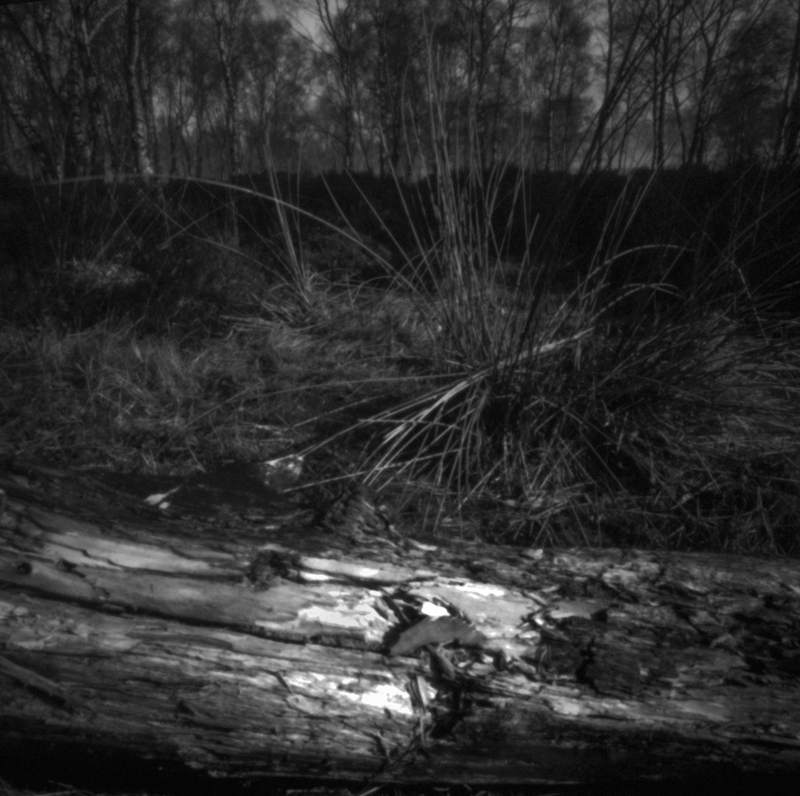 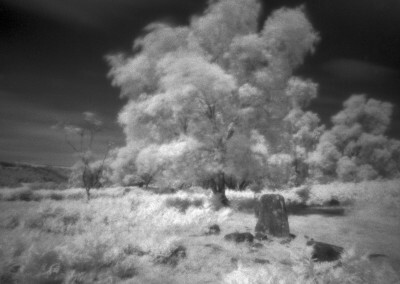 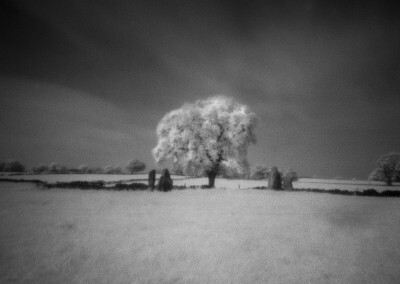 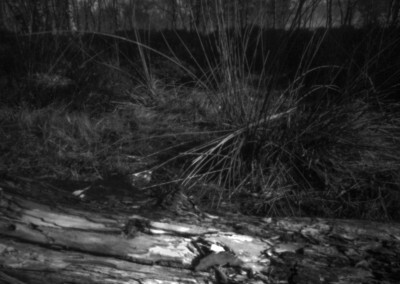 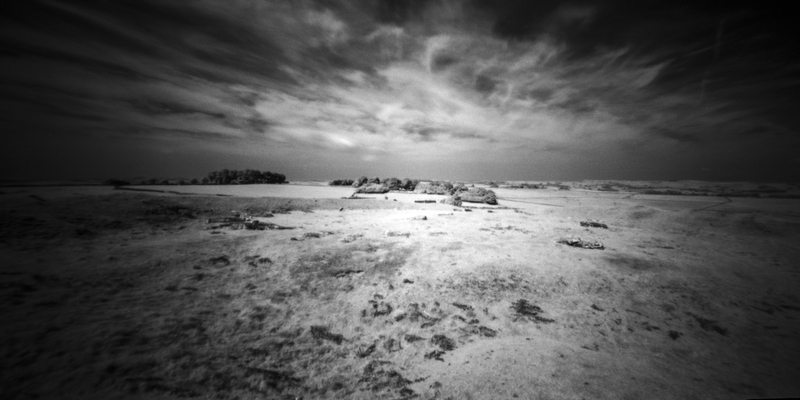 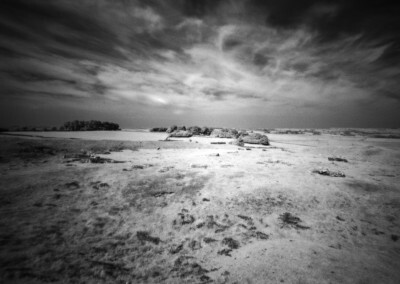 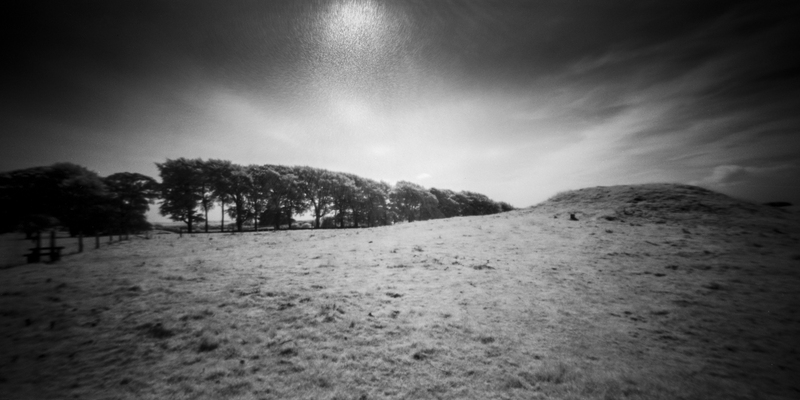 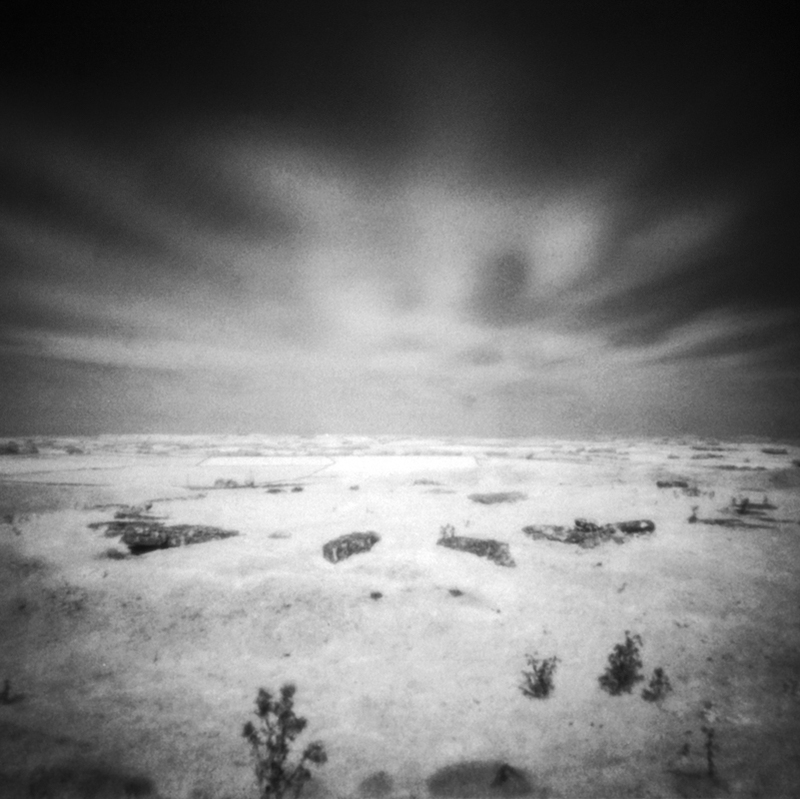 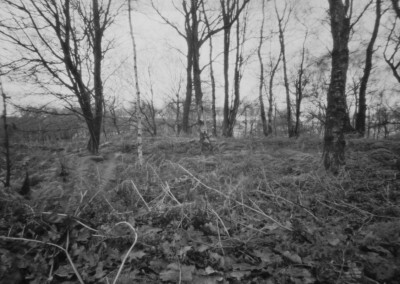 You can see more of my more recent pinhole photography here. 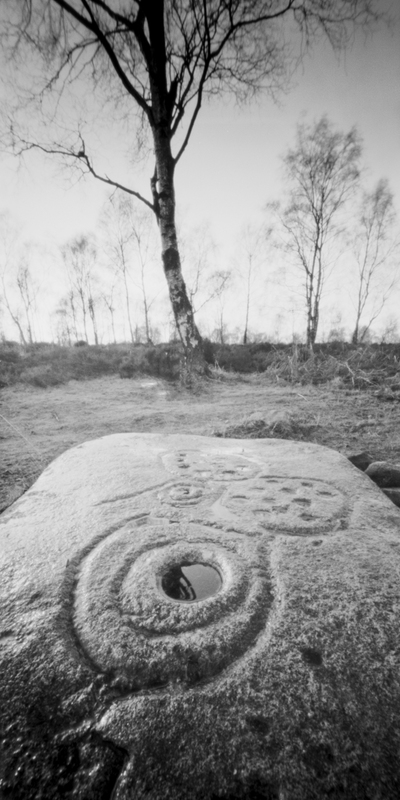 If you think your friends would like this, I’d love it if you should share it with them via the links on the left or you can give this post a like – many thanks.